or 16 people € 8,40 per person. A guided walking tour of the famous central cemetery, which documents many key elements of Berlin’s life and culture. Limited number of participants. geber@t-online.de, with Code: Tour Dorotheenstädtischer Friedhof in the Subject Line. A guided walking tour of the history of the Berlin Wall. geber@t-online.de with Code: Tour Bernauer Straße in the Subject Line. geber@t-online.de, with Code: The History of Psychoanalytic and Group Analytic Places of Interest in Berlin in the Subject Line. A memorial plaque in honour of Ilse Seglow is to be inaugurated in the presence of her son Peter Seglow. Our guides will be Regine Lockot and Ludger Herrmanns. Not only are both of them historians, they are also psychoanalysts and group analysts. Both have published papers about the history of psychoanalysis in pre- and post-war-Berlin. A new multi-media show about the history of Berlin at the Brandenburg Gate for the special price of € 8.- (cold drink inclusive). It is a short walk, 500 m from the hotel. 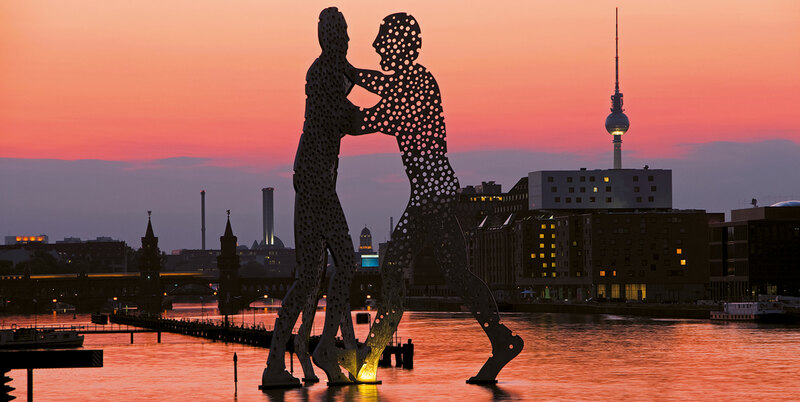 These are touristic guided tours to discover modern Berlin or sites from the communistic and national socialistic areas. For costs check the website.